Maurizio Gualtieri of project partner ENEA has provided an update illustrating some of the work progressing between February and November 2018 under WP2 of the tests performed at INNOVHUB on the dilutor system ENEA have developed. The different tests performed at Innovhub aimed at the evaluation of the rate of condensation of the compounds used as VOC references in the condensation chamber. A firs set of experiment was performed with a liquid compound (methyl naphthalene – MN). The experimental line (Fig. 1) was developed to allow the evaporation of MN and the subsequent condensation into an impiger. With this set up it was possible to evaporate and condensate properly the MN. Fig. 1 Set up the preliminary test to evaporate and condensate reference substances. In a second series of tests a refractory cylinder (Fig. 2) was added to the sampling line to allow a proper control and homogeneity of the temperature of the evaporating air. Fig 2. Set up of the condensation chamber to evaluate the condensation of selected reference compounds under laboratory test condition. With this configuration the condensation chamber was tested. Unfortunately the MN under room temperature evaporated rapidly and it was not possible to weight the sampling cellulose cartridge collecting the evaporated substance. The same set up was used to evaluate to condensation of Guaiacol, a liquid substance at room temperature and pressure. The experiments performed showed that only the 2% of the evaporated compound was found condensed on the cartridge. This discrepancy is likely related to the lack of other compounds in the vapour phase that can start the heterogeneous nucleation and condensation of the evaporated VOC. This conclusion is also supported by the evaluation of the time of residence in the condensation chamber that is comparable to those reported in the CTM039. Another point that may lead to an underestimation of the condensed compounds is the limited easiness to weight the condensed compounds using the cartridge (it is under consideration the possibility to replace the cartridge with a plane filter). 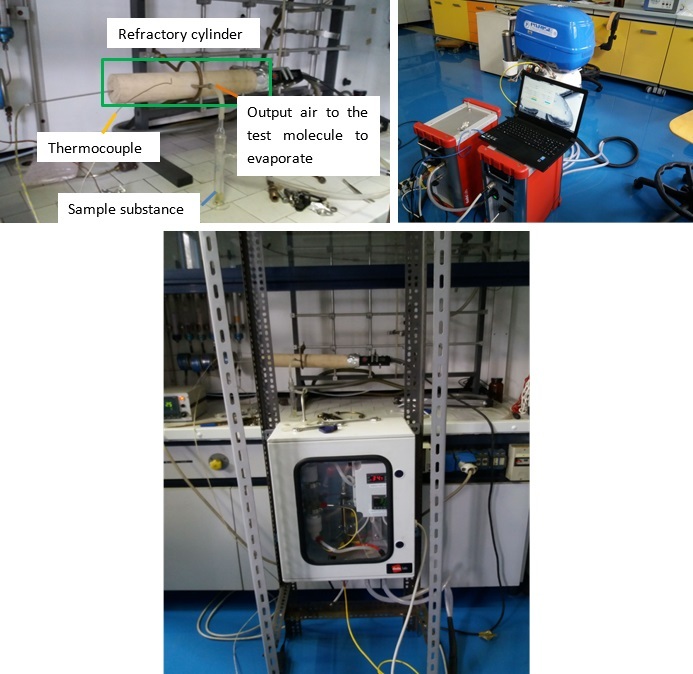 To test the capability of the condensation chamber to improve the evaluation of the condensable compounds and to avoid the condensation problem encountered with the reference compound Guaiacol, a series of test with two pellet stove has been performed. The results are reported in Fig. 3 and show a discrepancy between the PM values obtained by the sampling of hot flue gases and the values from the condensation chamber. Furthermore the data show also a limited correlation between the PM concentrations, from the condenser, and the total VOCs concentrations measure with a FID. Fig. 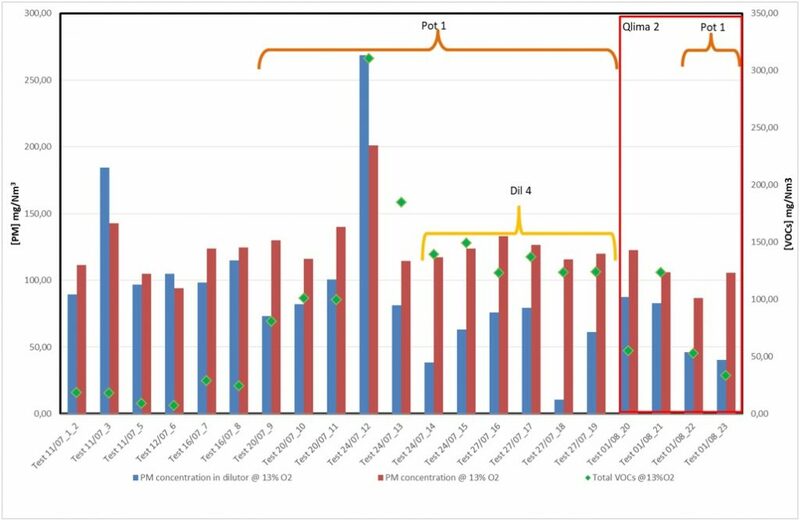 3 Particulate (PM) and VOC measured during the tests performed with a pellet stove. The different tests were performed with two different power settings of the stoves (Pot 1 represent the lowest power of the stove and was used to increase the amount of VOCs likely to be emitted during the combustion). Furthermore two different dilutions were selected for the sampling with the dilution chamber 8 NL/min and 4NL/min. 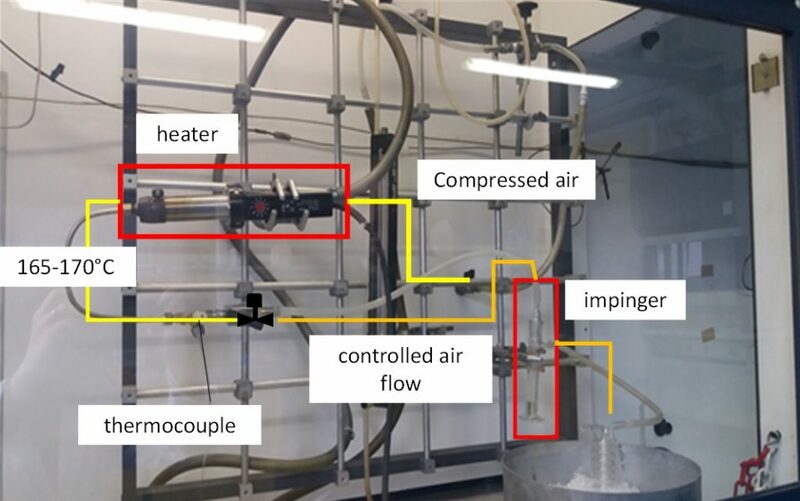 PM sampling from hot flues gases were performed with a filter holder and a plane filter while the sampling in the dilution chamber where performed with a cartridge. For further information, please visit our WP2 Activities page.